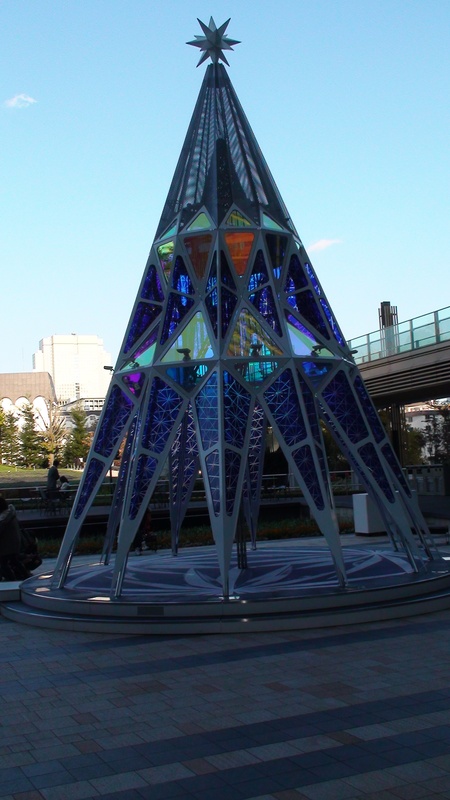 December 18, 2010: Tokyo Travel Day #12! 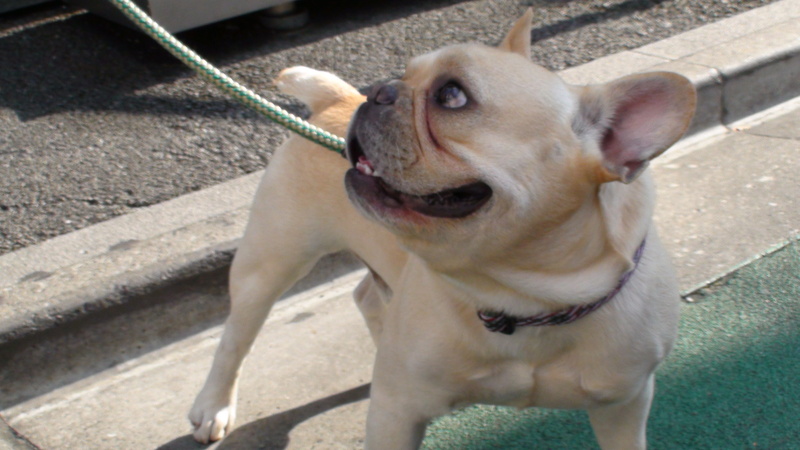 Muroi! Sort of Spanish! Desserts! Whew! Two more nights like the last one and I should be right back on Vancouver time. So, late post today. Hell, late everything. Thanks to everyone who has offered up their thoughts, comments, and words of support re: SGU. If this truly is the end, here’s hoping that you – the best fans in fandom – join me on my next adventure/project/mangosteen-selling venture. I know you have a slew of questions, but I won’t be able to field them until I’ve returned to Vancouver and had a chance to speak with Brad and Robert who are presently also more or less incommunicado (Rob somewhere tropical, Brad somewhere military – an aircraft carrier I think it was). 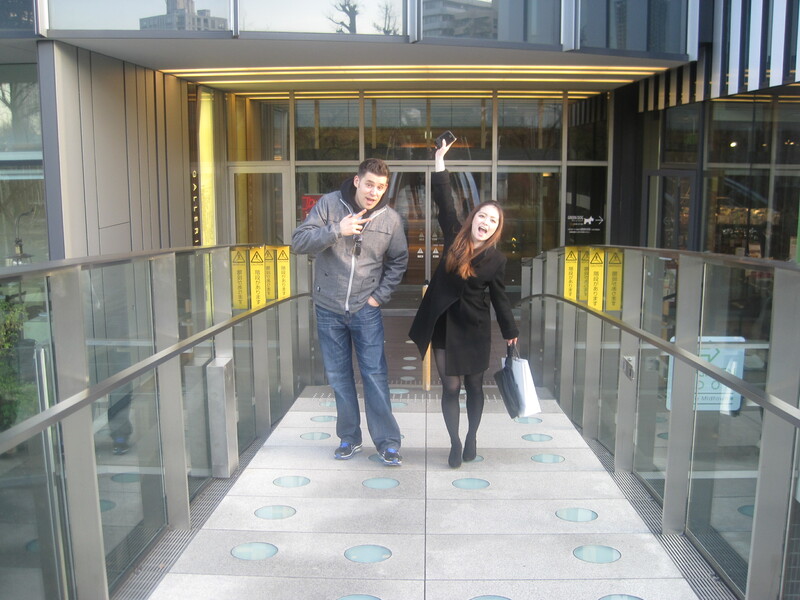 The other night, we hit Muroi in Ginza. 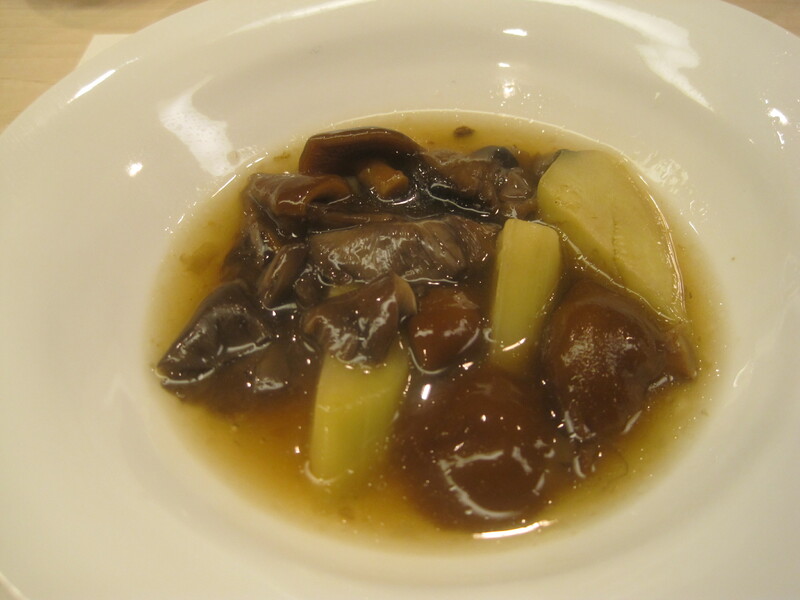 It`s a restaurant known for its wild mushrooms, so I made sure to have the concierge at the hotel arrange for us to enjoy a mushroom-centric meal. And, boy, did we ever. The first half dozen dishes or so were all mushroom-centered, a variety of different offerings and preparations. One of the great mushroom dishes. ﻿﻿We were served the above and, about partway through the dish, one of the kimono-clad waitresses leaned and said “Please, don’t eat the soup.” Ivon and I exchanged uncertain glances. Uh, why not? 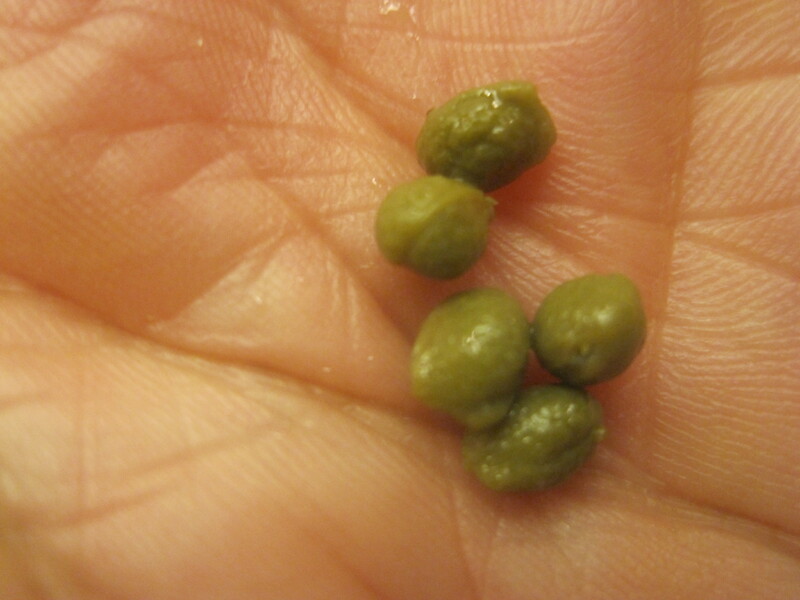 I may have inadvertently gotten some on my mushrooms. 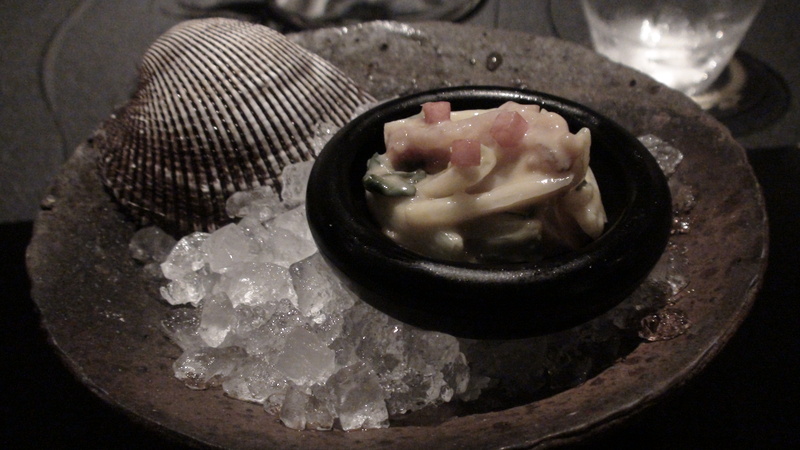 When we finished the last of the mushrooms, our dishes were whisked away. 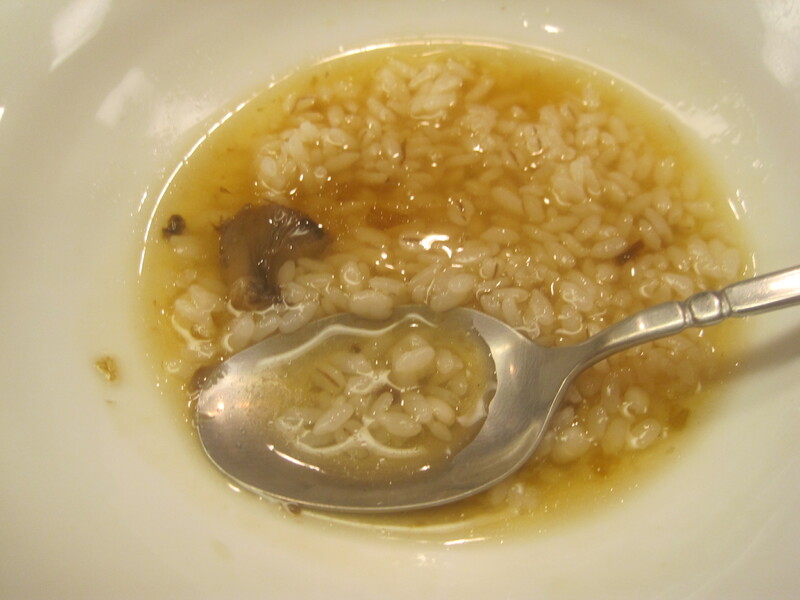 Seconds later, they were returned with a helping of rice and barley to help soak up the remnants of the soup. Ooooooh. I enjoyed those first dishes but, to be honest, when I’d heard the restaurant specialized in mushrooms, I imagined the dishes would feature something else besides mushrooms (ie. 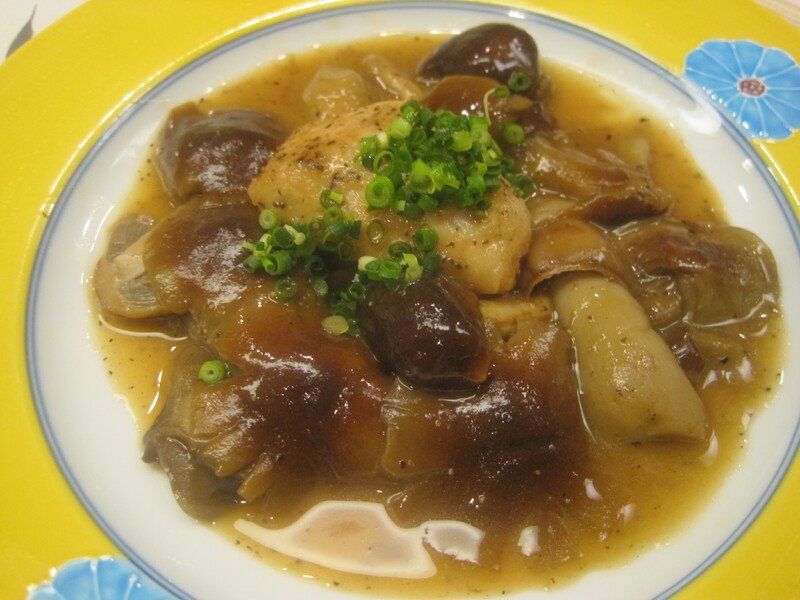 mushrooms and chicken, mushrooms and fish). At a certain point in our dinner, the kindly owner admitted it had been a challenge to honor my request and prepare an all-mushroom meal. Hmmm. Clearly, we’d gotten our signals crossed. He asked if we would like to have something besides mushrooms. I could see the palpable sense of relief wash over Ivon. Yes, I told him. Something in addition to mushrooms would be great. Sashimi. I'm a fairly adventurous eater and enjoy most things the average diner wouldn't even consider trying, but I have to admit I had a hard time with the tiny little fish in the front right. Note the adorable little eyes. 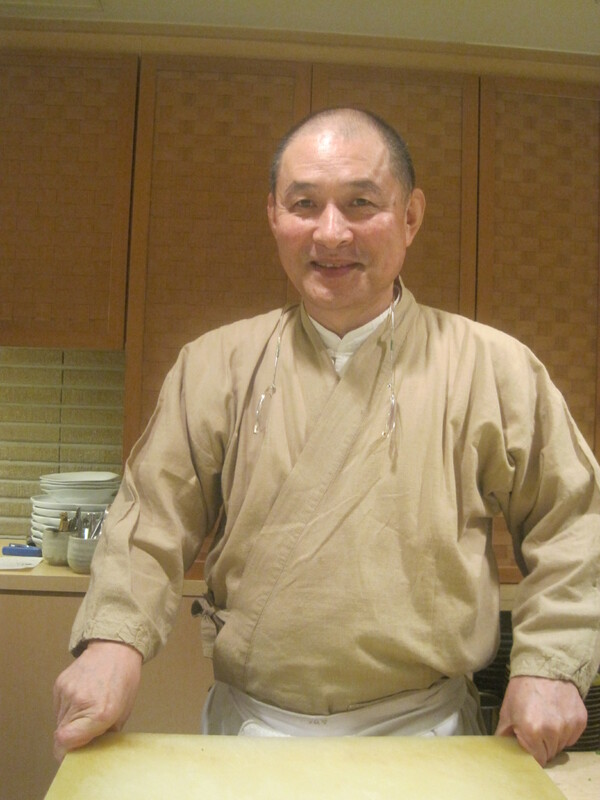 Muroi's chef and owner was perhaps the kindest host we've had on this trip. Even though he didn't speak any English, he continually communicated with us throughout the meal (via our lovely dining companion, Tomomi), inquiring about our likes, dislikes, and varied food interests. 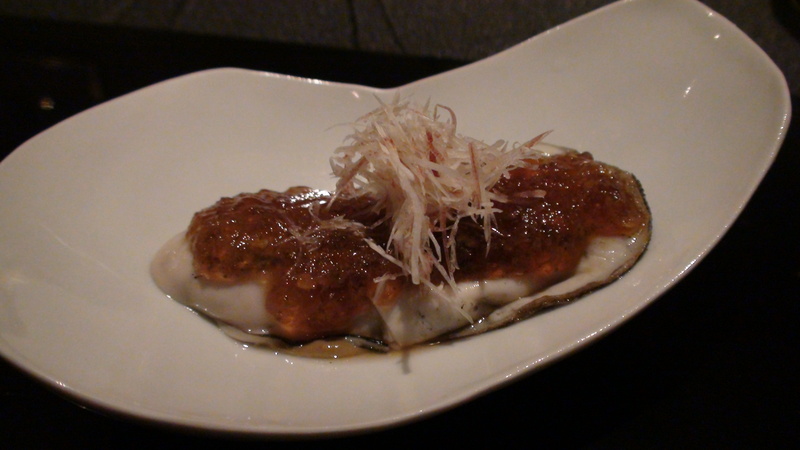 The best fugu I've ever had. It's texture was almost chicken like. 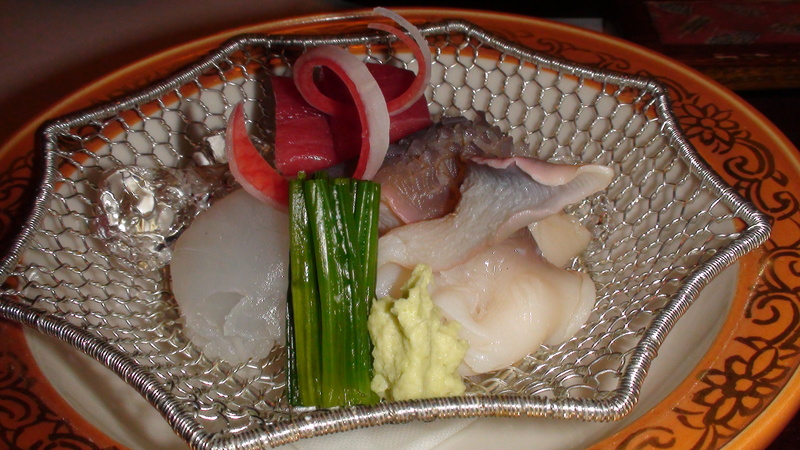 As we were served the fugu, the chef informed us it had taken much time to prepare. “To remove the poison,”Tomomi helpfully added. 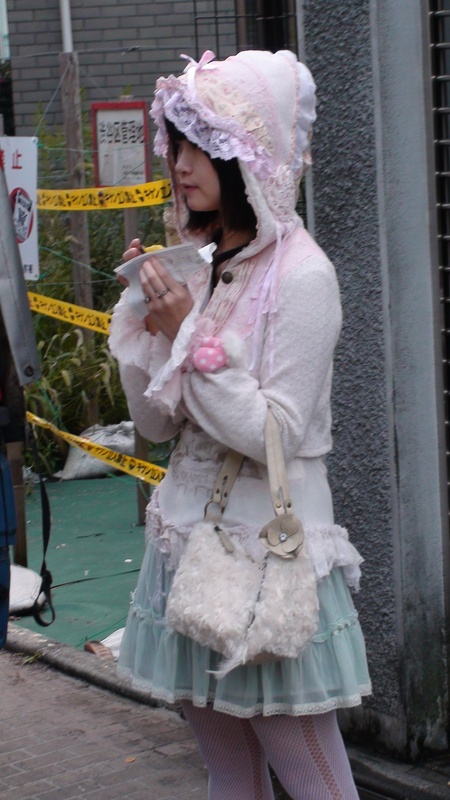 “Oh, no,”said Tomomi. 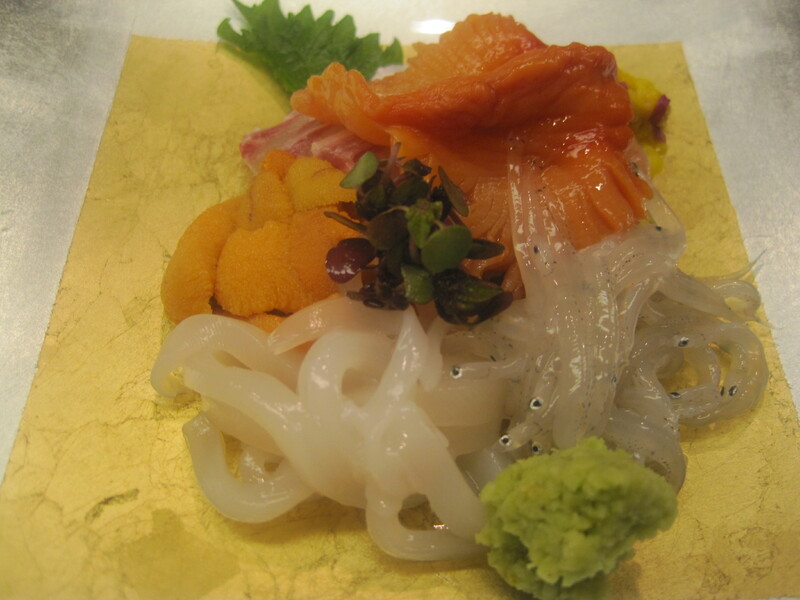 “This isn’t farmed.” Apparently, farmed fugu is for the lower end restaurants. Mushrooms with crispy shirako. 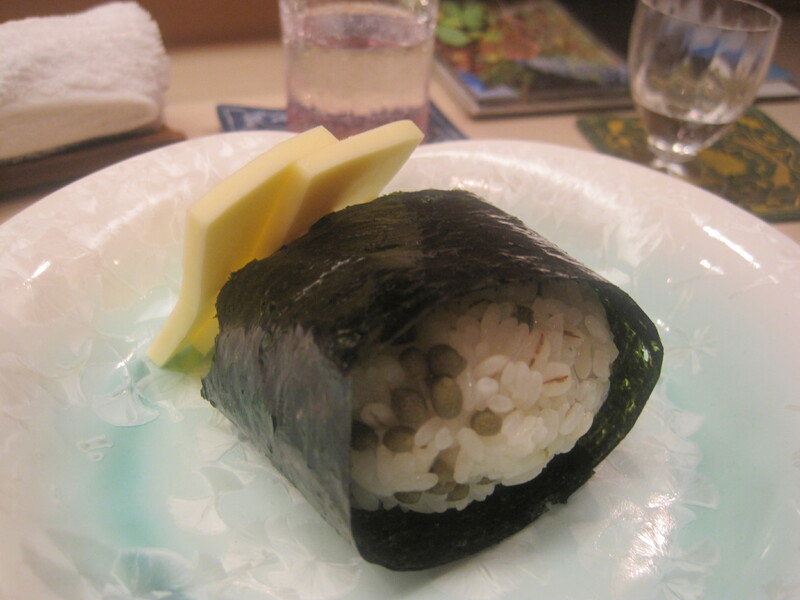 Great dish. Ivon, for his part, was all shirako'd out, so he deftly switched off his serving to me when no one was looking. 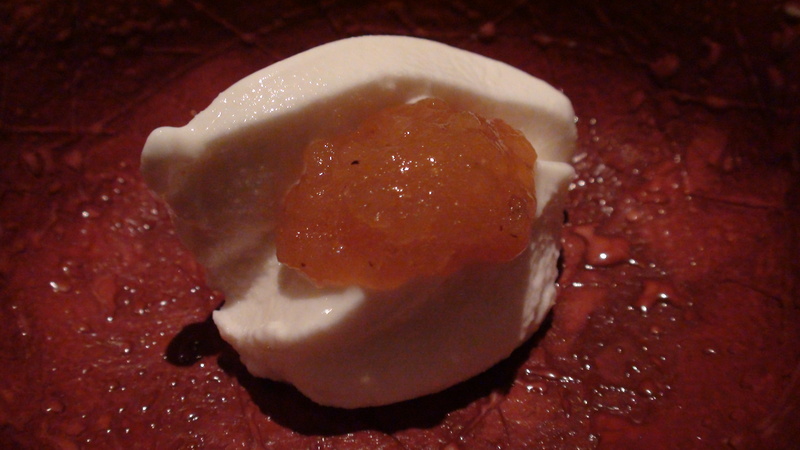 Sansho. Love the numbing effect it has on the tongue. 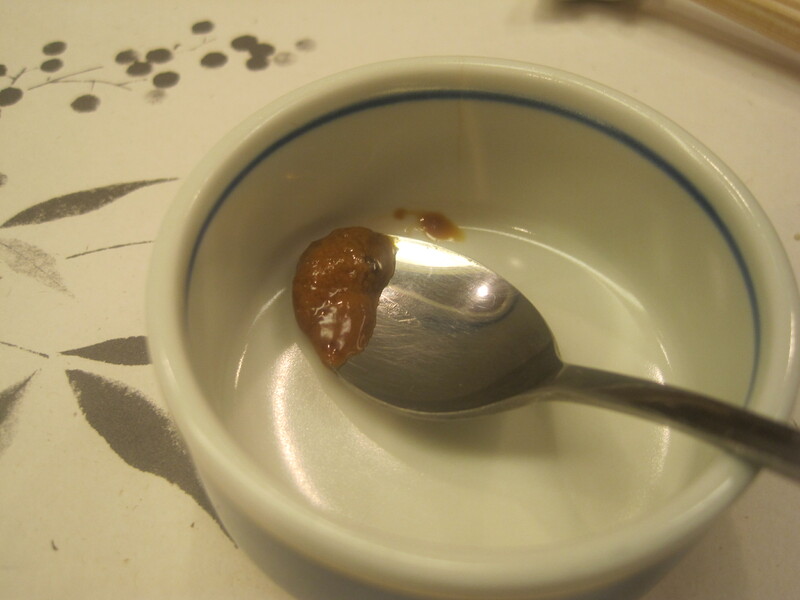 Since we were drinking sake, we were offered a sample of a Japanese favorite enjoyed along with the drink: an intense fish paste. We were instructed to just dab the paste on our tongue, taste, then follow with the sake which would taste all that more sweeter by comparison. Boy, did it ever! The paste was apparently made of sardines that had been fermented for six years. I was snapping pics of everything he was making and, at one point, he set this down in front of me. I took the picture and was about to dig in when Ivon informed me that the dish was actually intended for another group of diners. Then, of course, he instantly regretted telling me. A truly awesome beef dish. It don't get much better than this. 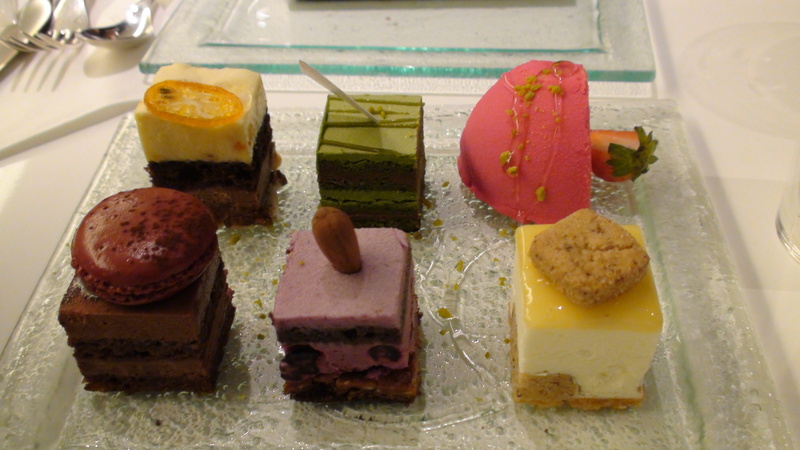 The meal concluded with three small savories (pasta, risotto, and rice), and two desserts. By dinner’s end, we’d enjoyed approximately twenty different plates. A great meal and a great experience, mostly due to Muroi’s chef and owner who made us feel at ease and welcome throughout. As I told Tomomi (to tell him), my dining experience at Muroi was akin to enjoying a meal with my extended family (including, I suppose, that wonderful Japanese uncle who speaks no English but can cook and plate like no one else!). We capped off the night with another visit to Star Bar. 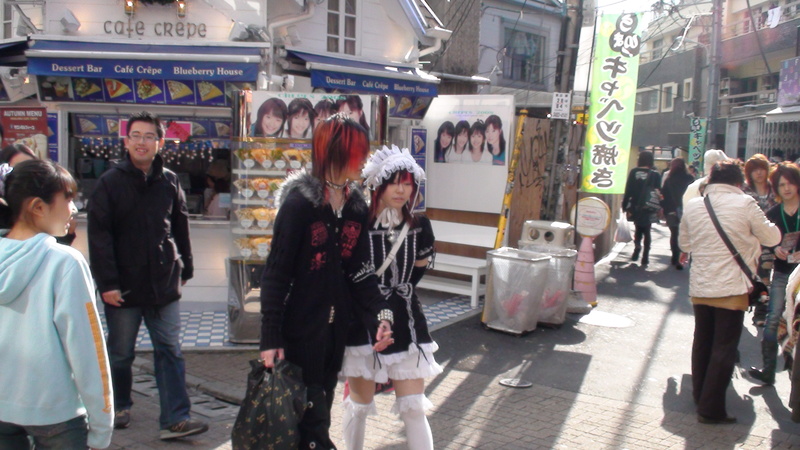 I’ve decided that next time I come to Tokyo, I’m just going to stay there and cut out the middleman (a.k.a. the hotel). 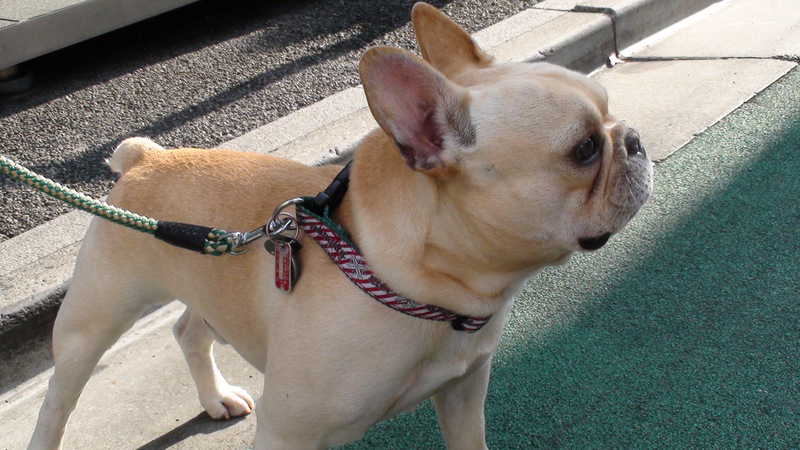 The next day, we met another Marcolini Girl, Kanae, for lunch at a Spanish restaurant we’d been meaning to try. Last week, we’d followed the great scent of paella up the stairs to the restaurant’s second floor digs – only to be informed they wouldn’t be open for another half hour. So, yesterday, we returned, a little later in the afternoon, to enjoy that paella. Alas, there wasn’t much enjoyment to be had. But it certainly smelled great! Kanae checks out my shades. 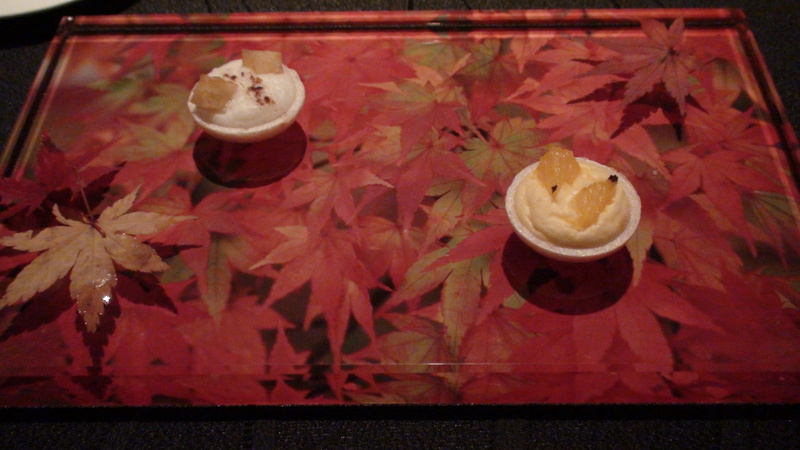 One of my favorite Tokyo desserts: The Bamboo (Sadaharu Aoki). 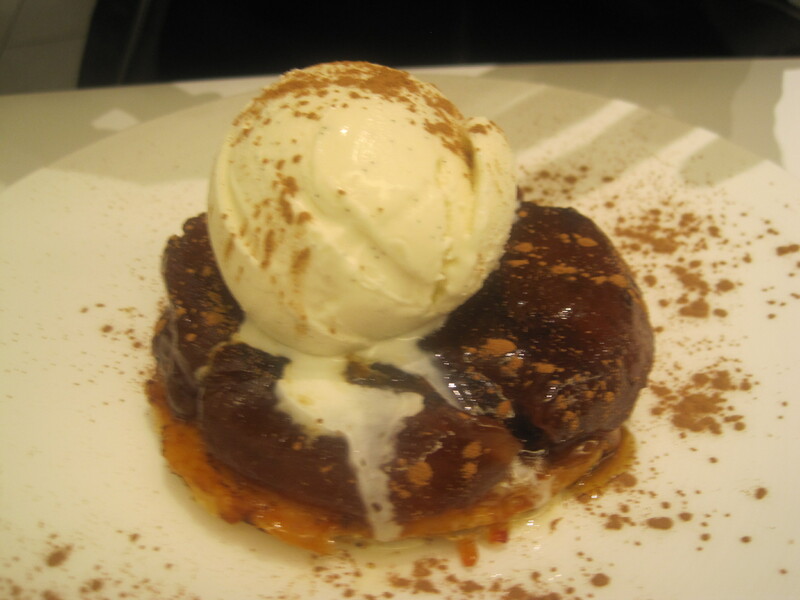 Ivon's Tarte Tatin. When it arrived, he threw his hands up and said: "Half of this is yours.". Moments later, after I'd finished up my dessert, I redirected my focus back to the Tarte Tatin only to find him finishing up the last of it. "Too sweet,"he insisted. 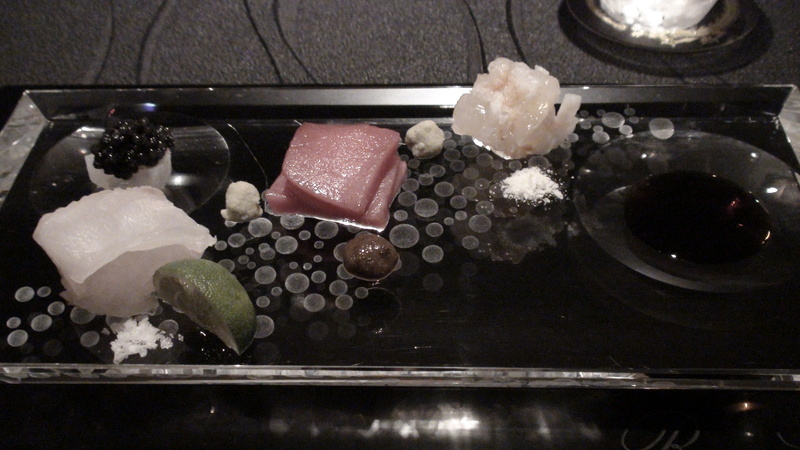 Le Plat de Degustation. Hits and misses. Ivon and Kanae - all full of dessert. 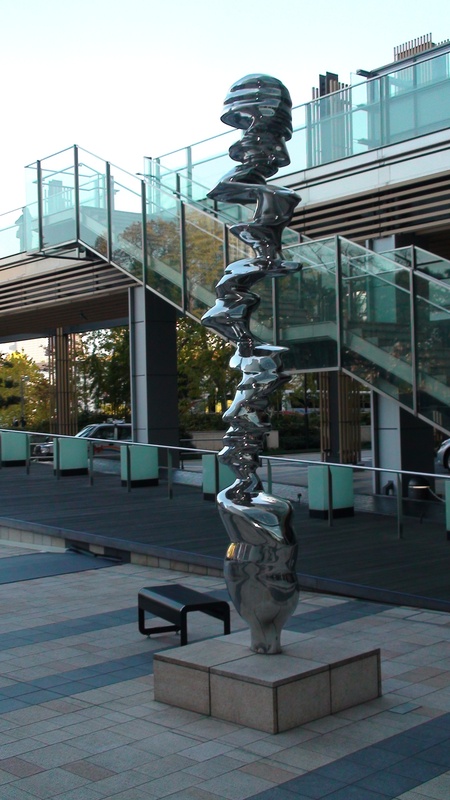 Eventually, Ivon headed back to the hotel while I paid a return visit to the Mori Arts Museum with Kanae for a second viewing of the Odani Motohiko exhibition. I took the opportunity to pre-order the special book the museum is issuing to commemorate the artist. It’ll be ready Monday, the day before we leave. And another day draws to a close. 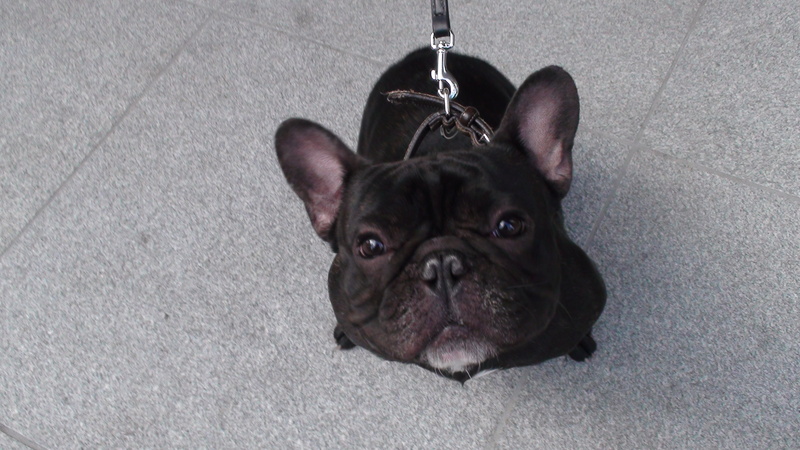 November 29, 2008: Tokyo Travel Day #7, Kaiseki x 2, Desserts x 2, French Bulldogs x 2, and My Drippiest Lunch Ever! 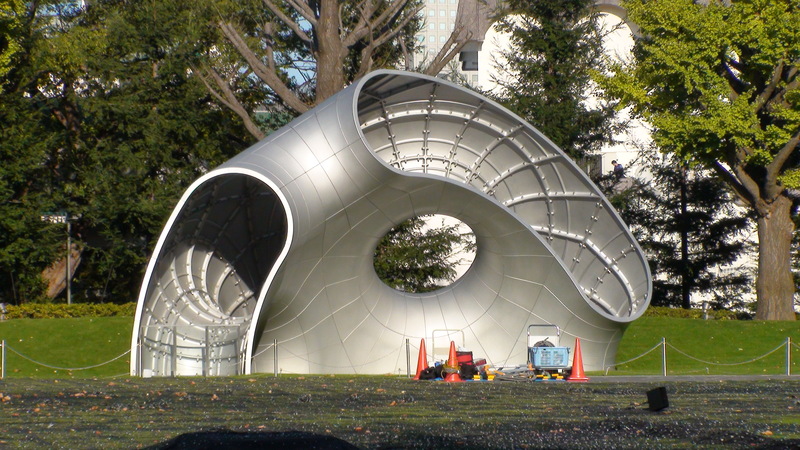 Oh, here it is! How could I have missed it? 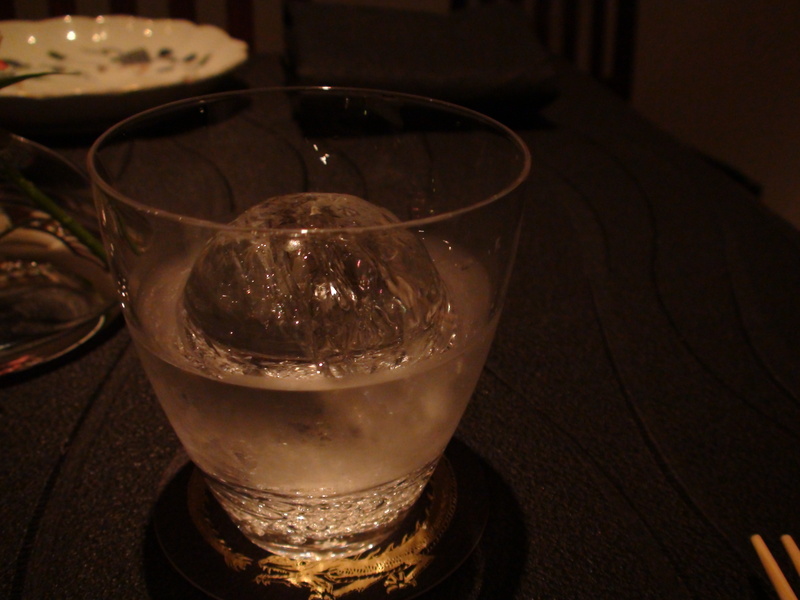 Shochu on the rocks. And quite a rock it is! 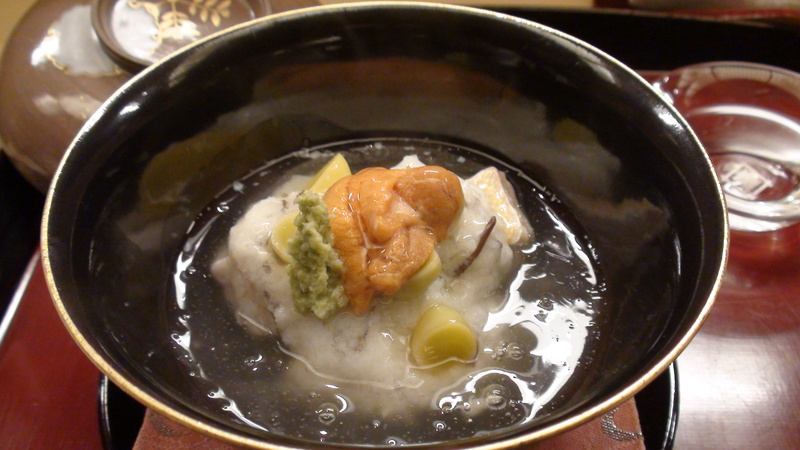 Blackthroat perch served with lotus root, fried gingko, and tofu. The picture on the plate is made out of squid ink and miso, and an application of the tofu cleverly transferred their flavors - and erased the fish. 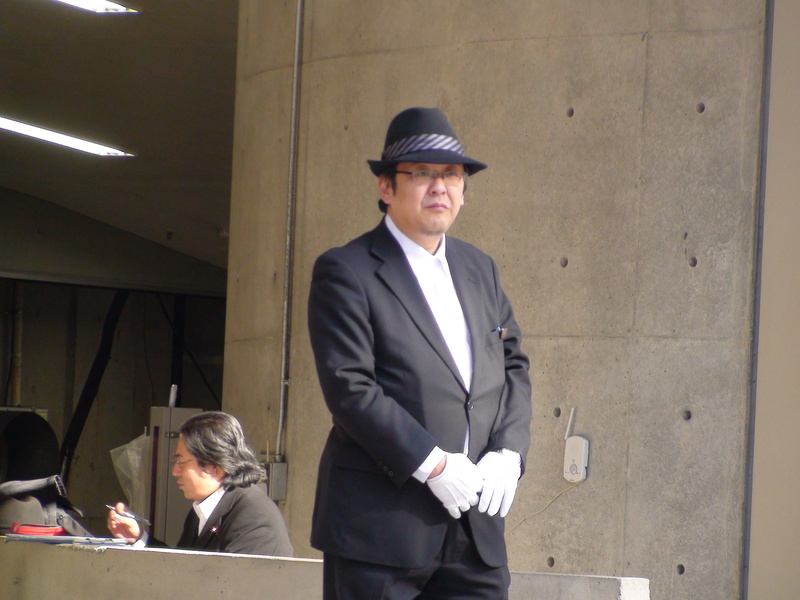 This guy would just stand around outside the entrance to a department store parking lot. 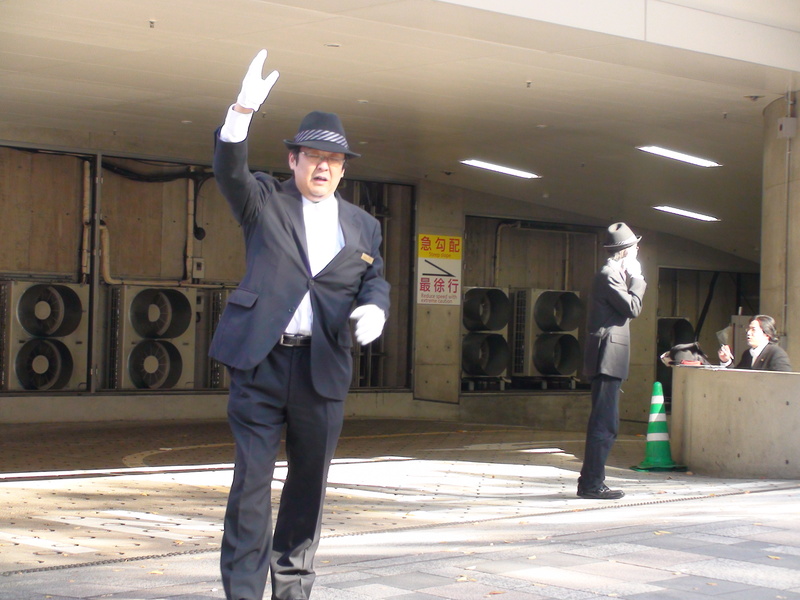 Then, whenever a car approached, he would signal the pedestrians to wait and wave it in. He and a friend enjoy a rare breather. It may look like vomit but it tastes much, much better! Jessica applies the all-important finishing veneer to the okonomiyaki. 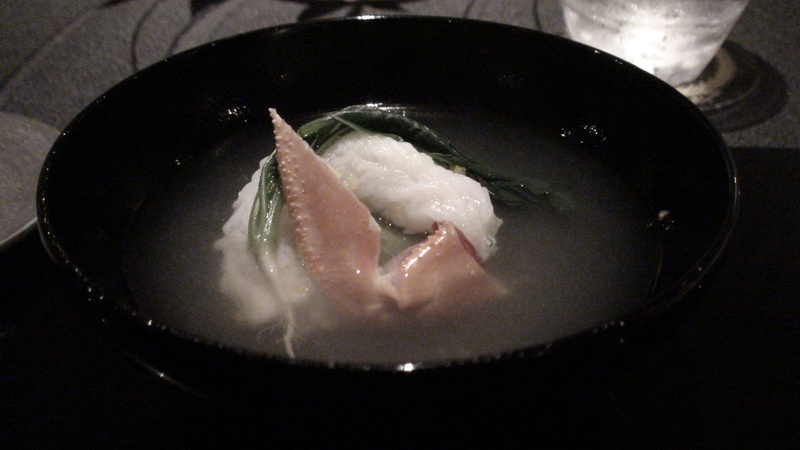 Last night, I had dinner at Ryugin where I enjoyed a spectacular contemporary spin on the traditional kaiseki meal. Rather than break it down for you, I’ll let the pics do the talking. Suffice it to say, it was yet another very memorable meal. So far, that’s six for six on the high-end dining. Other meals, while perhaps not as magnificent, have not been without their charm. Take today’s lunch, for instance. 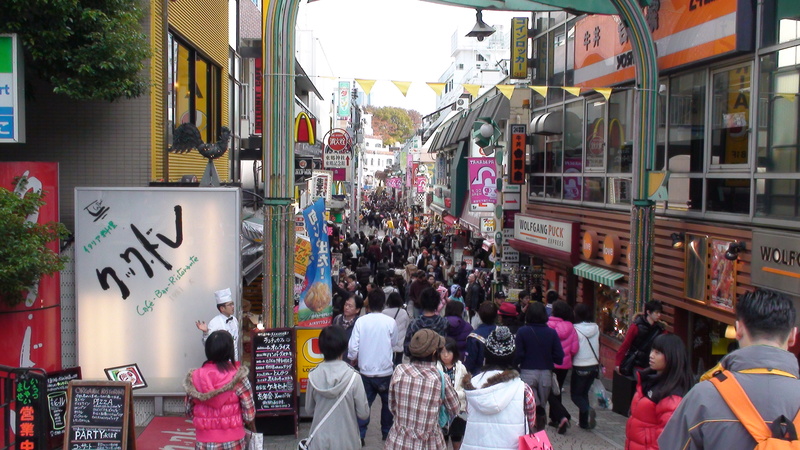 After a (thankfully non-eventful) morning work-out and stroll through Harujuku, I might up with my friend Jessica for some okonomiyaki. 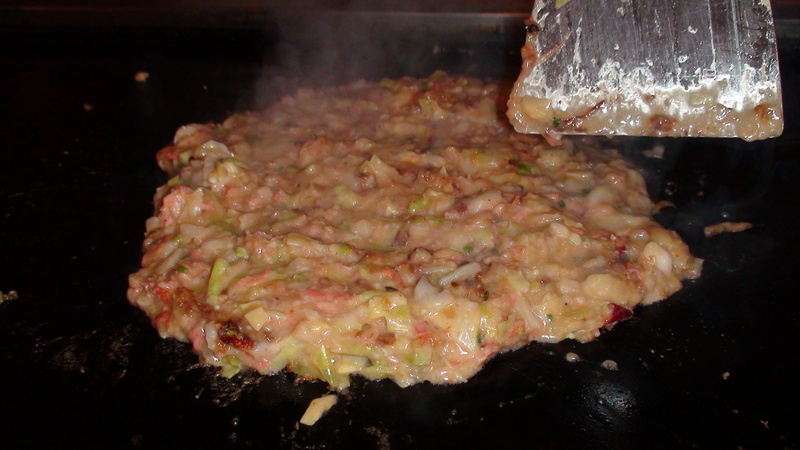 For those of you who don’t know, okonomi, also known as Japanese pizza, is essentially pan-fried batter containing a variety of ingredients ranging from ground beef to squid. The restaurant we were going to on this day not only served okonomiyaki, but monjayaki that Jessica described as a “drippier” version of its cousin. After waiting in line for some twenty minutes, we were finally seated in a room that I suspect as decorated by somebody’s crazed uncle. Wacky, occasionally rude cartoons graced the walls. Pez dispensers and action figures adorned the various nooks and crannies. A Cheech and Chong plastic light-up display hung behind our table which sported a large grill at its center. Apparently, we were expected to cook our own lunch. Fortunately, our menu came with English okonomiyaki preparation instructions. Unfortunately, we still couldn’t understand them. 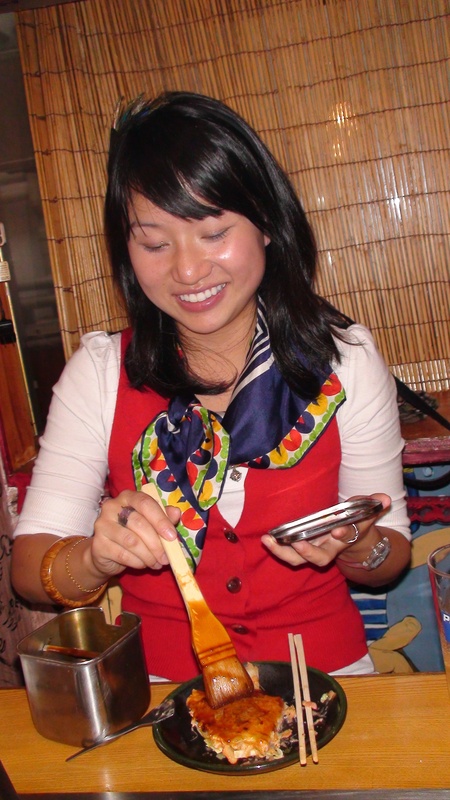 Fortunately, Jessica charmed our waiter into, at the very least, making the monjayaki for us. It was…well, certainly as goopy as I’d been led to believe. But the crispy underside was pretty good. His work done, the waiter served us our okonomiyaki ingredients and then left us to our own devices – at which point Jessica took charge, mixing everything up in the bowl and then dropping the entirety onto the skillet and shaping it into a nice, fat thingamablob. She fried it on one side for five minutes, expertly flipped it, fried it on the other side for another five minutes, and then served it up with a not-altogether-inspiring: “Check to make sure the pork is cooked.”. I’m not sure if it was but, regardless, it was pretty darn good. 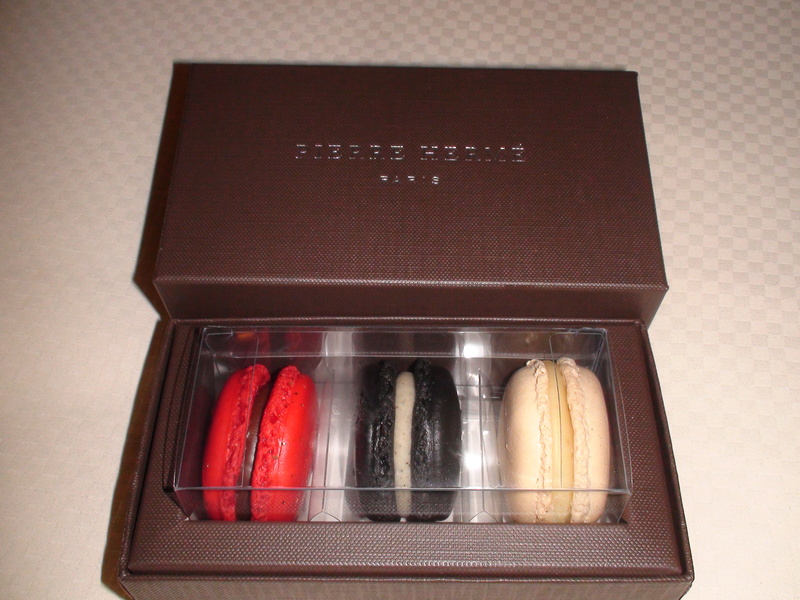 After lunch, we took a stroll up Omotesando to Pierre Hermes where I picked up a box of the seasonal macaron selection – three suspiciously familiar tastes that I finally received confirmation on. 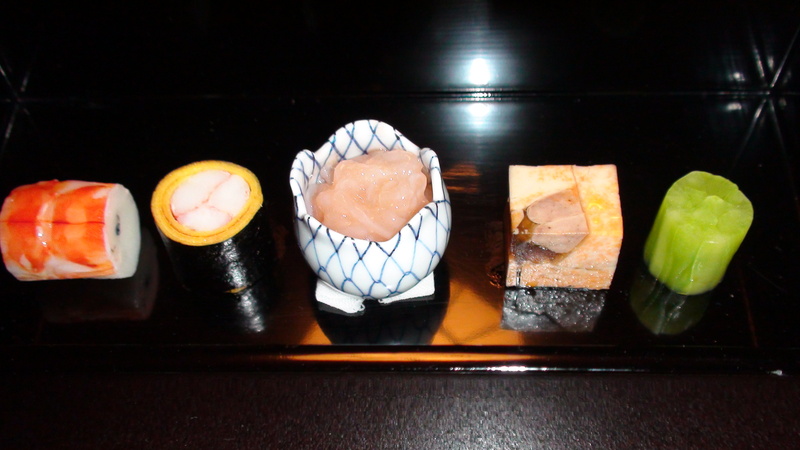 Pictured above from left to right, the seasonal flavors: white truffle, black truffle, and foie gras. Delicious! 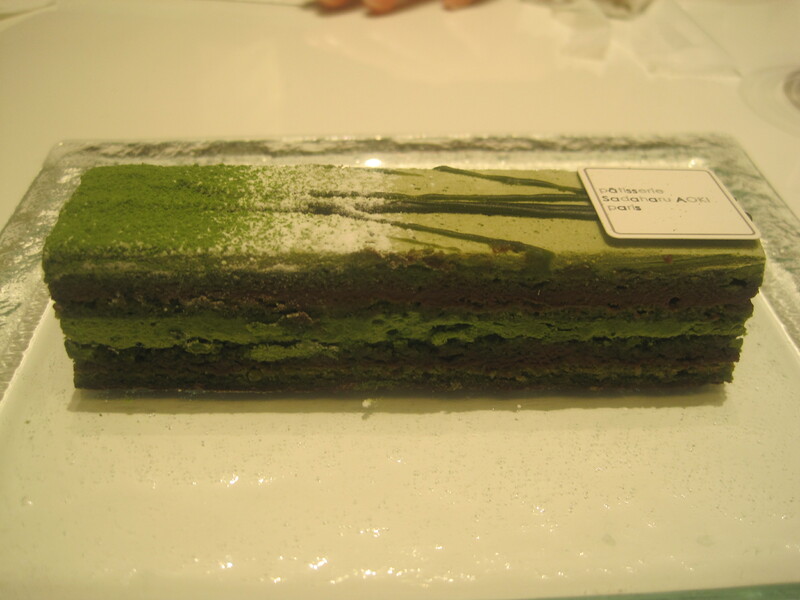 From there, it was a short cab ride to Tokyo Midtown and Dessert Stop #2, Sadaharu Aoki’s, where we enjoyed the plat de degustation offering a sampling of the shop’s delectable creations including my favorite Tokyo dessert: their matcha opera cake (which I also ordered as a side plate). 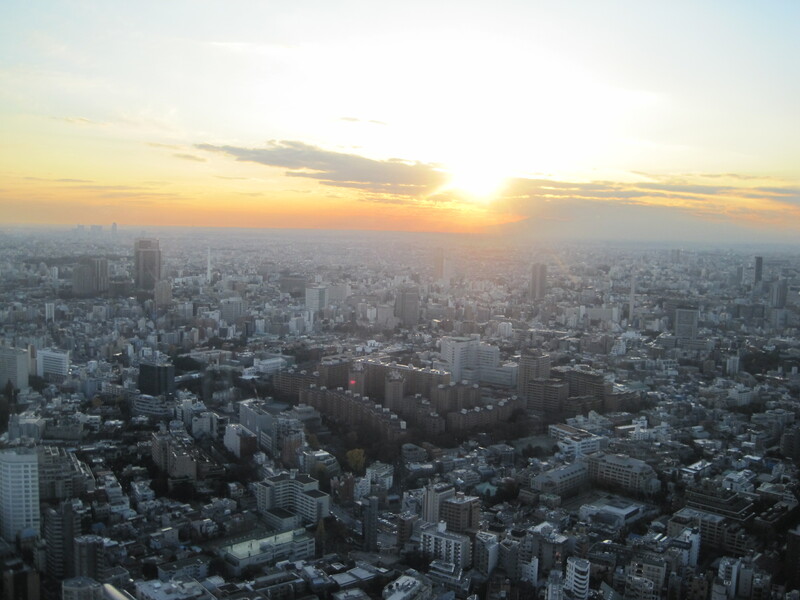 We finished up just in time for dinner, this time over to Akasaka’s Kikunoi. Even though this was my third kaiseki meal in a relatively short time, it was different from Ryugin as Ryugin was from Hamadaya. Here, the atmosphere was a little more relaxed. We sat at a counter and as each course was served up, we were simultaneously presented with the appropriate entry from the restaurant’s English language cook book. Another magnificent meal and, again, I’ll let the pictures do the talking on this one as well. 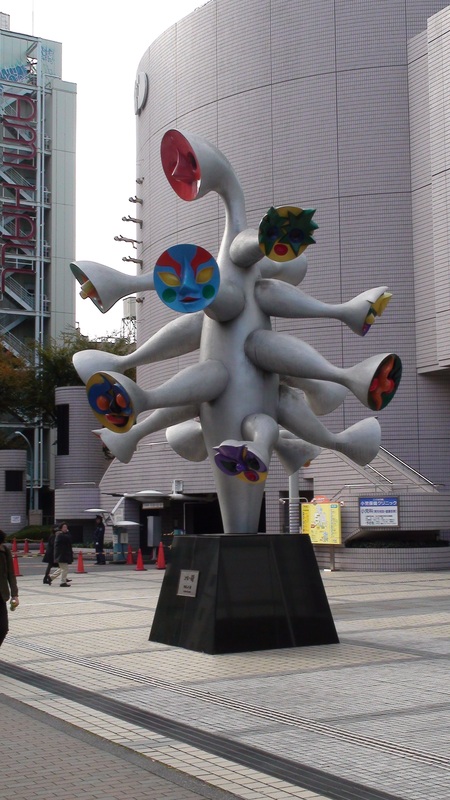 Tomorrow marks my long-awaited return to The Jiyugaoka Sweets Forest, a visit to Meguro’s Parasitological Museum, and a tea and crumpets primer. Lulu's long distance love connection? 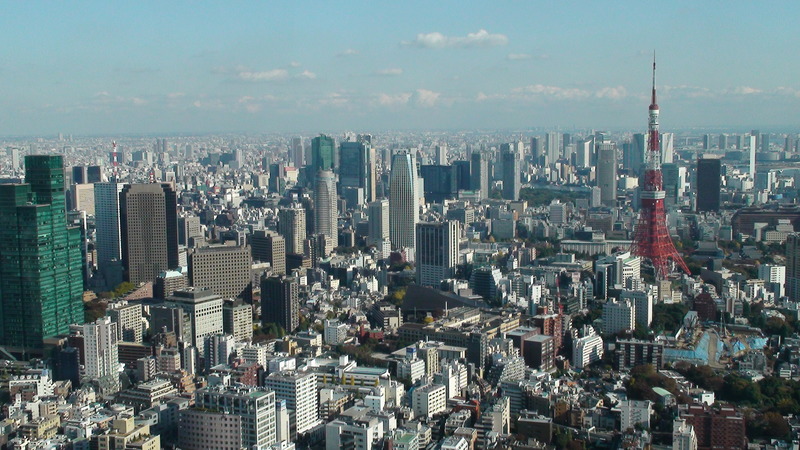 Hop into a taxi in Tokyo and you’re in for a wild ride because it’s pretty much a given that your driver will have no idea where he’s going. 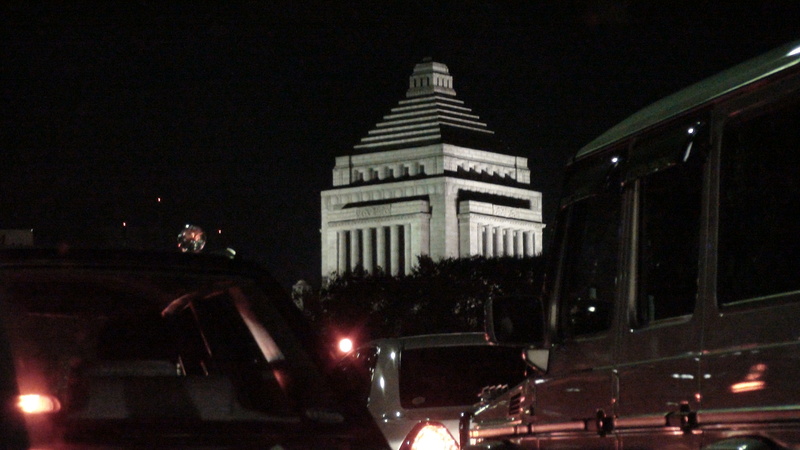 Chalk it up to the city’s antiquated address system, its winding side streets, or its crisscrossing thoroughfares – whatever the reason, cabbies seem to be veritable tourists in their own hometown. Thank God for nav systems. Last night, for instance, my driver had one eye on the road, the other on his dashboard map, zipping through the congested labyrinth, turning up a side street and then down an empty alleyway, stopping in front of what looked like somebody’s garage. Surely he was mistaken. This couldn’t be Hamadaya, one of the restaurants Michelin had recently awarded an astounding 3 stars? Could it? 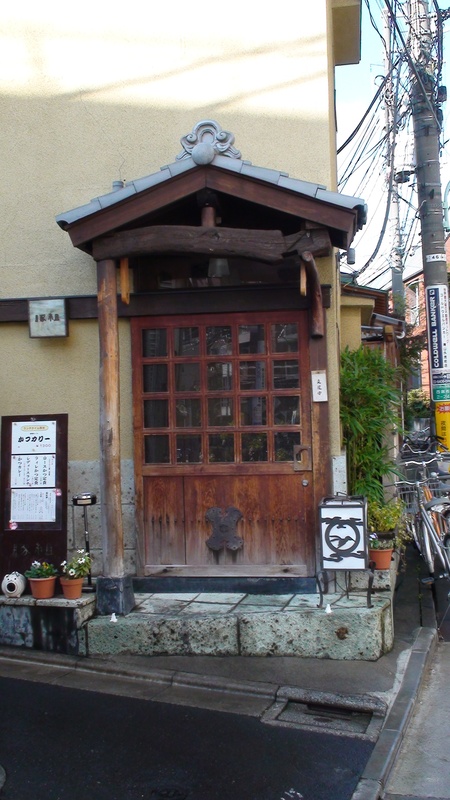 Well, once I stepped inside, it was as if I’d been transported far from the city to a ryokan in the Kyoto countryside. 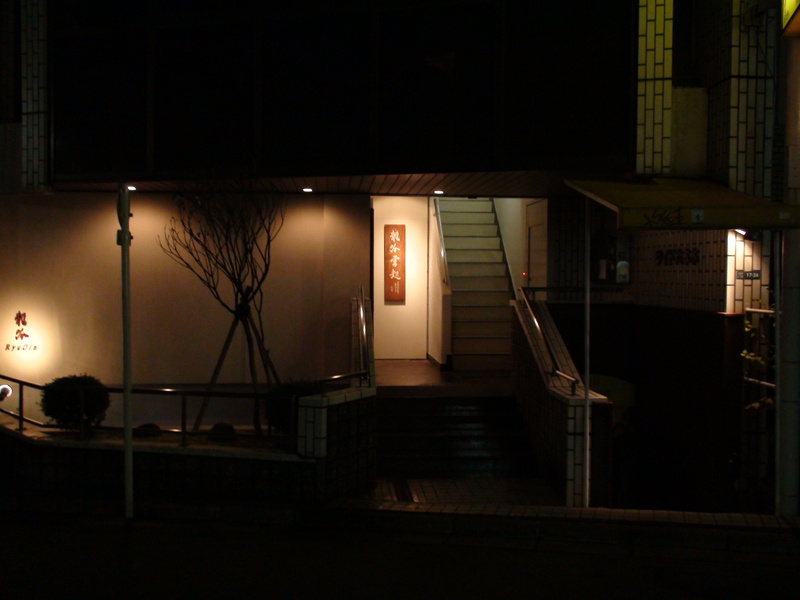 The place looked like something out of an Edo period sword and sandals epic. I was escorted into the tea room and there met my internet pal and new food buddy Jessica, a Houston native who is in Japan teaching English to kindergarteners. Following some preliminary introductions (“I’m a television producer, I have four dogs and a wife, and my favorite cereal mascot is the Trix rabbit.”) we were invited upstairs to our private tatami room. Of course, as expected, we had to remove our shoes. And, of course, despite my best efforts to ensure I’d packed my best pairs, one of my socks developed a hole. Fortunately, it was on the bottom of my right foot and I don’t think anyone noticed. 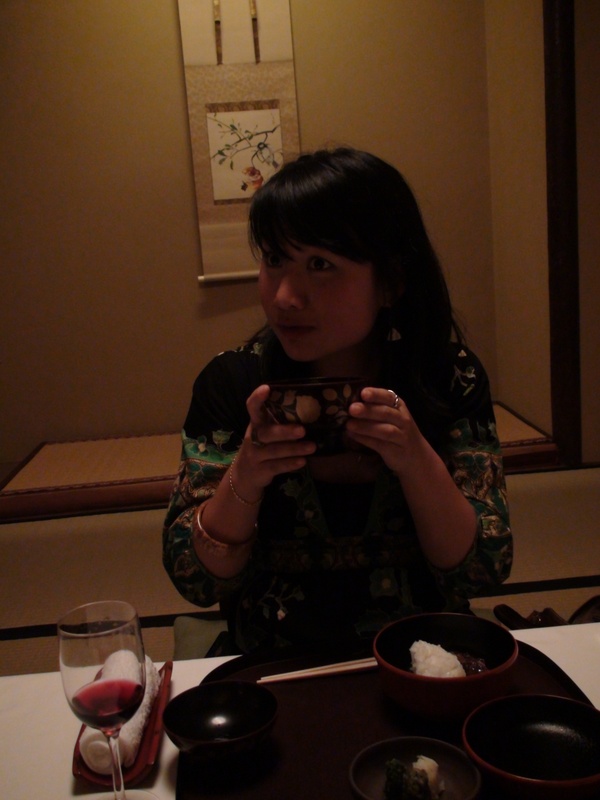 Anyway, we settled into our private room and then proceeded on to our kaiseki feast. 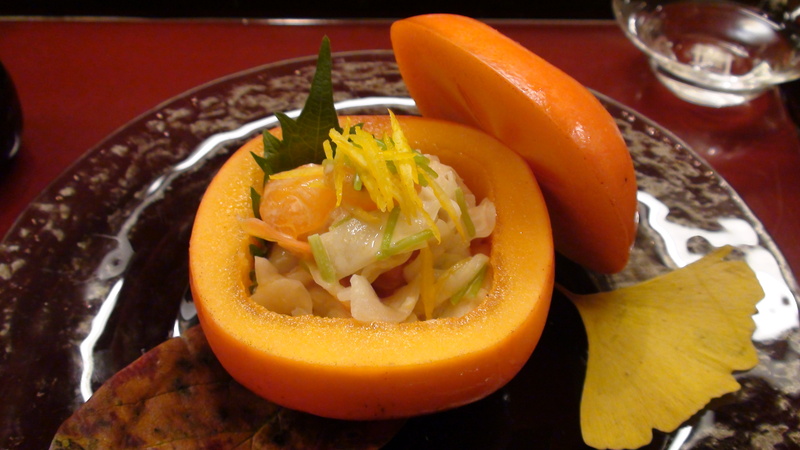 For those of you who don’t know, kaiseki is a traditional Japanese multi-course meal with an emphasis on seasonal local ingredients, taste, texture, and appearance. We started with an amuse, a cornet fish seasoned with kelp, and daikon radish and carrot marinated in vinegar, then were presented with the appetizer, a colorful selection made up of shrimp, mushroom omelet, angler liver, pickled squid served with a sauce of salted and fermented bonito guts. All of the flavors were crisp and distinct, and while I can’t say I was a huge fan of the bonito guts, I did enjoy everything. Our next course was soup with steamed seas breem, deep fried tofu and greens. Again, simple, clean flavors. Very nice. 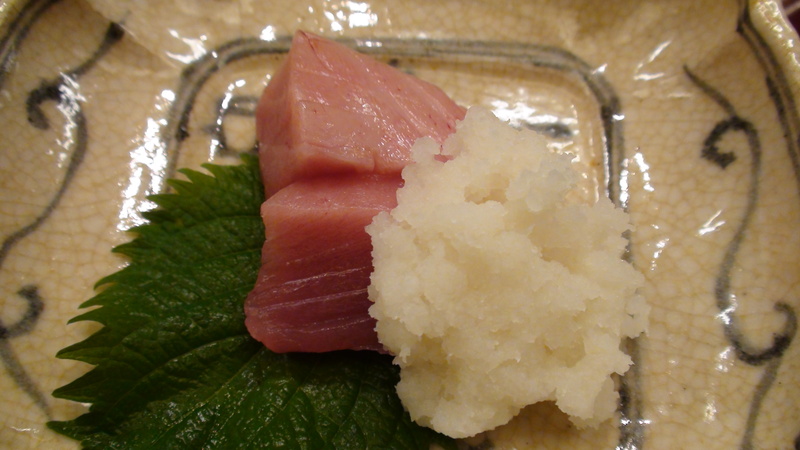 The same can be said for the ensuing sashimi dish – super-fresh tuna, flat fish, and halfbeak served with wasabi. 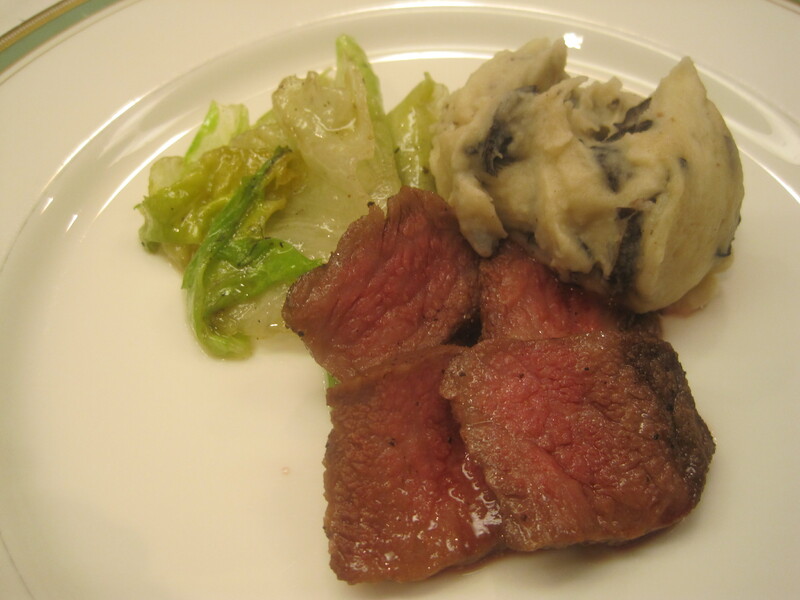 For our next dish, we were served grilled beef filet with Japanese pepper served atop some steamed rice with wasabi stem and greens. Another artful preparation. 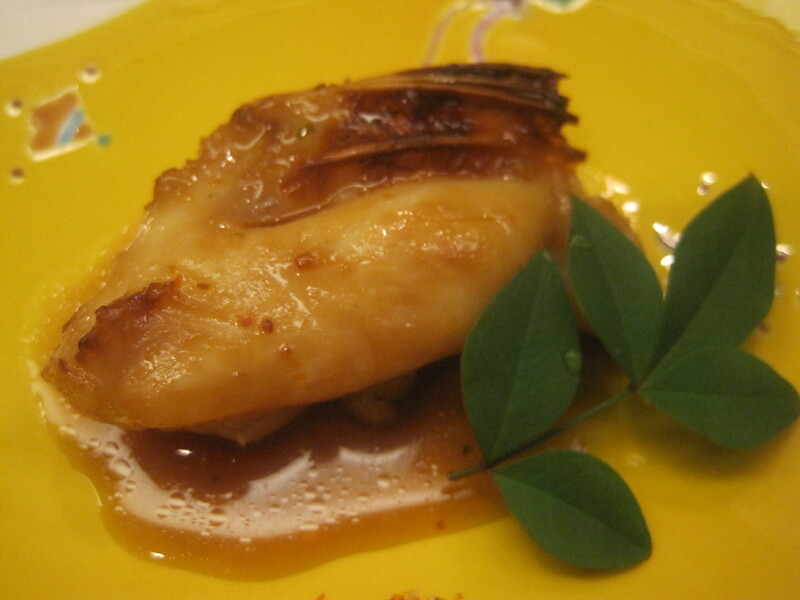 We followed with grilled harvest fish with white miso, asparagus and crown daisy, and dried sea cucumber dressed with vinegar and then some steamed tilefish and turnip with kudz sauce. Deep fried prawn with grated daikon sauce and then, to round out the meal, some rice, simmered sea eel, a wonderfully rich dark brown miso soup, and pickles. Finally, we closed things out with some melon, strawberry, and hot sweet red bean soup. All I can say is Wow. I don’t think I’ve ever enjoyed a better-looking meal. By the time I got in, I was exhausted and went right to bed. 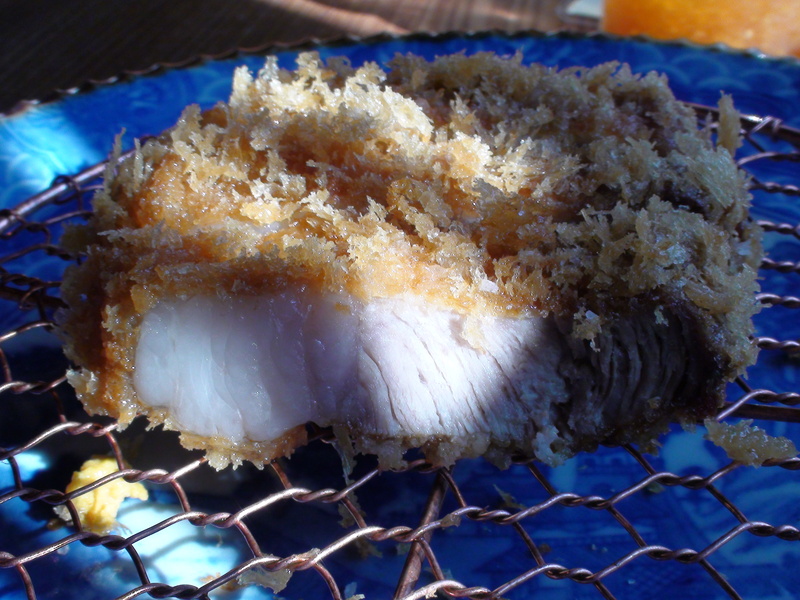 Then, this morning, I got up, got in a work-out, then headed out to Minato-ku where I had lunch at Butagumi, a restaurant that specializes in tonkatsu – deep fried pork (by the way, kudos to my cab driver who ended up negotiating an impossibly narrow side street to get me there). 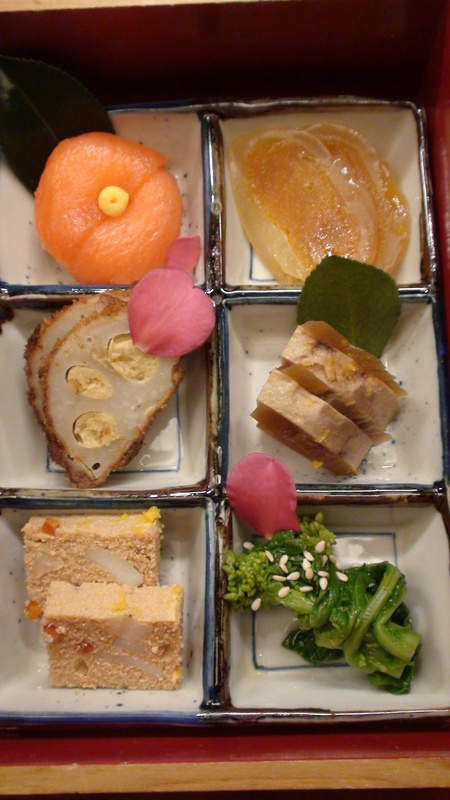 The menu consists of some 20 different varieties of pork, each with its own little write-up. 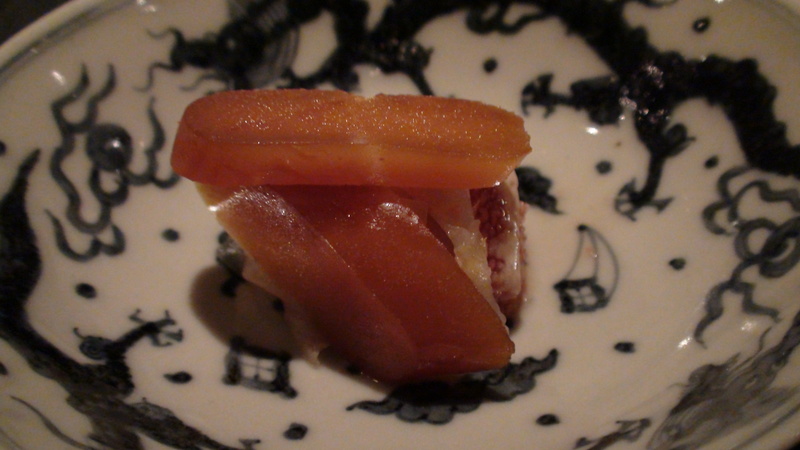 For instance, there’s the Nakijin-Agoo-buta from Okinawa that was at one time an endangered species, the Eishow-ton fromm Kanagawa in central Japan whose ancestry can be traced back to China and is 80% sweet fat, and, of course, the Bimei-ton which is described as light-tasting. But I was there for the heavy hitter, Spain’s famed Iberico pork. Like Kobe beef, the meat practically melted in my mouth. Of course, like Kobe beef, the meat was incredibly well-marbled. 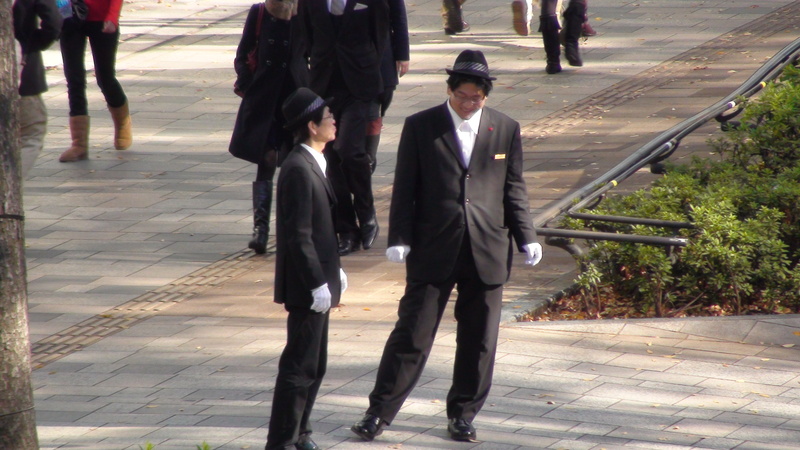 Figuring I could use the exercise, I decided to skip the taxi and walk the neighborhood. 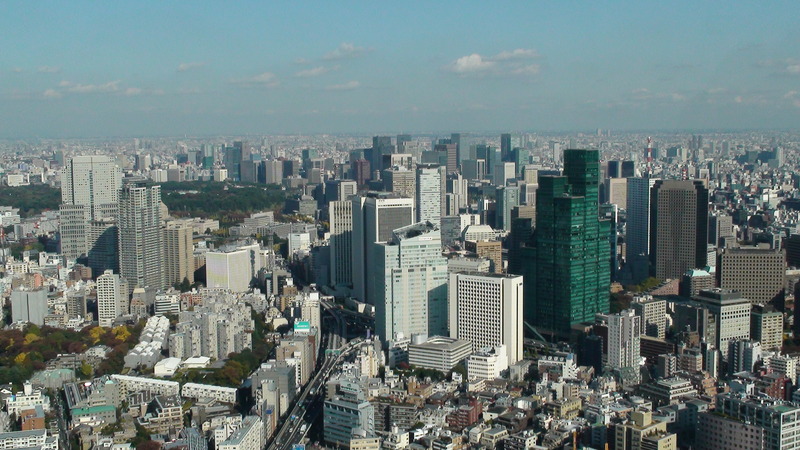 The neighborhood, it turns out, was Roppongi and the walk eventually took me to the Roppongi Hills shopping complex where I went up to the 52nd floor and checked out the glass-walled observatory. 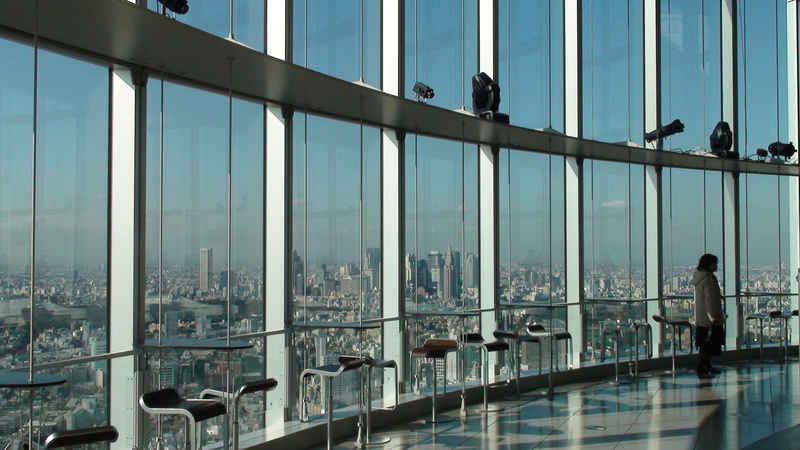 Whereas most everyone else had their faces practically pressed up against the glass, I was barely skirting the central shops, staying as far away from the vertigo-inducing view as possible. 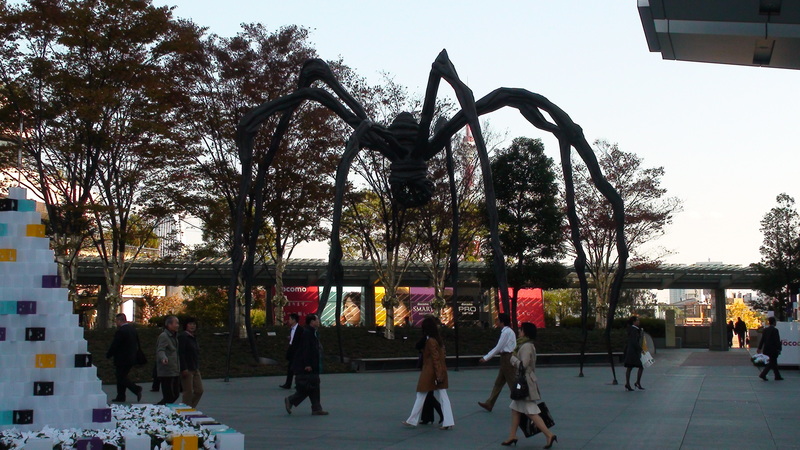 Still, I did manage to snap a few pics before making my way over to the Mori Art Museum where I took in two exhibitions, one on gold, the other on contemporary Indian Art. The former was fine, more field trip material for students, while the latter offered works that ranged from the silly and suspect to the downright fascinating. My favorite was the room dedicated to the interactive video that would capture your shadow as your stepped inside. 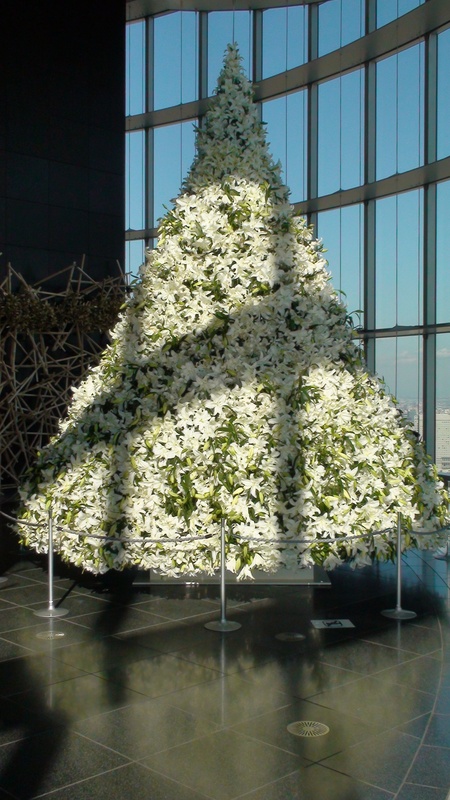 Then, shadowed objects would drop down from the sky and stick to you – broken mannequins, cylinders, toasters. The longer you stood in the room, the more objects would come done until your shadow was completely encapsulated within a shell of junk that would bob and shudder with your every step, occasionally detaching from you and attaching onto whatever fellow museum patron you happen to cross paths with. 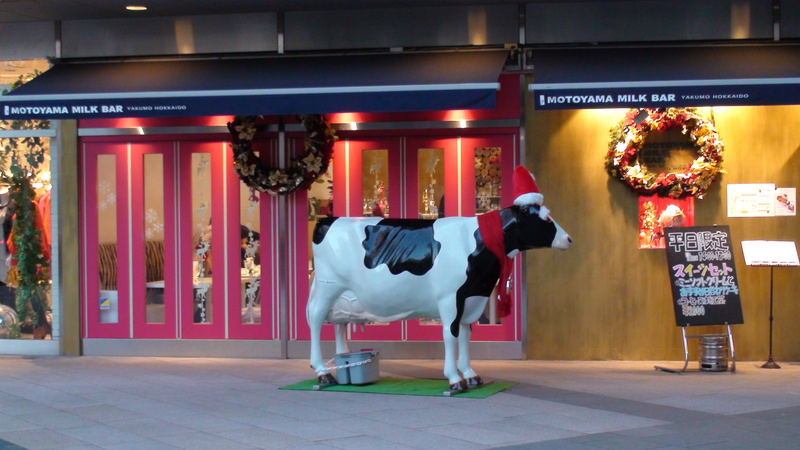 Suitably edified, I headed out, strolled through a park, and eventually landed in the Tokyo Midtown Shopping Complex where I dropped by Toraya, a maker of traditional Japanese confectionary that goes as far back as the 1600’s. 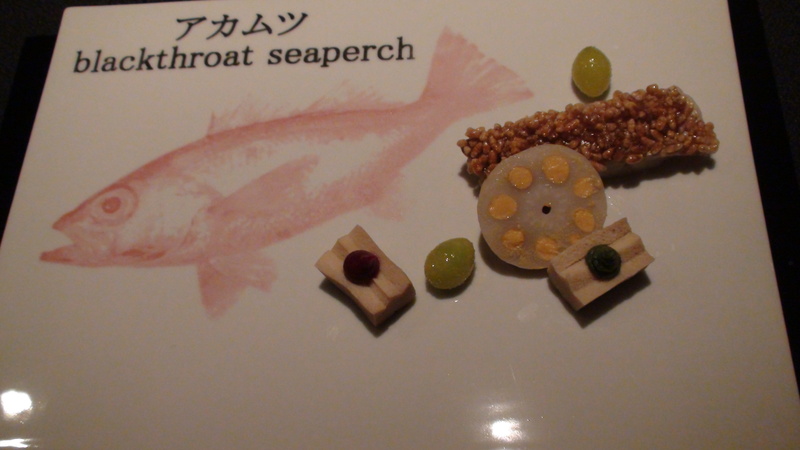 The wagashi are little works of art, fashioned out of red and white adzuki beans, kanten (a seaweed-derived gelatin), and wasambonto (a unique, powdery domestic sugar). I picked up a few, then happened across a shop selling Noka, the world’s most expensive chocolate. But is it the world’s best chocolate? I’ll tell you tomorrow once I’ve sampled the four pieces I picked up. 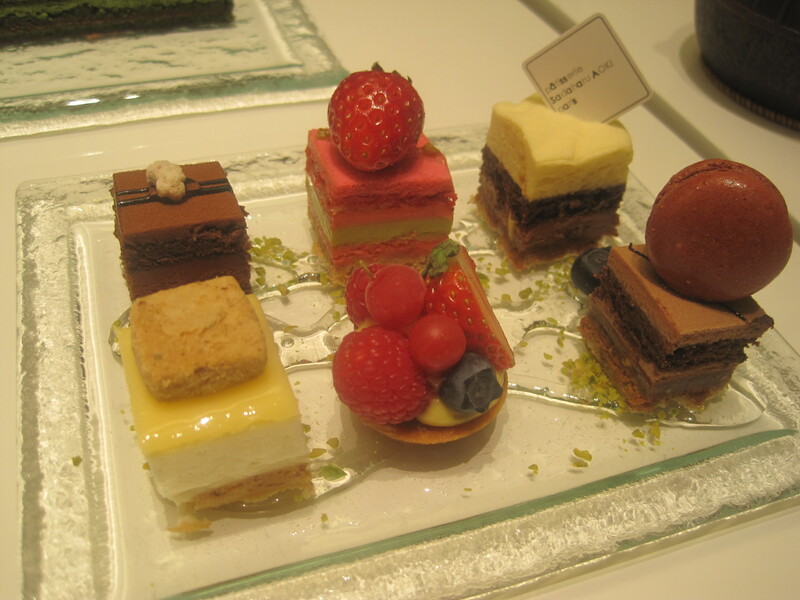 I had lunch at the food court, some cold soba noodles (I didn’t realize they’d be served cold when I ordered them), then made my way over to Sadaharu Aoki Patisserie where I ordered the chocolate parfait and a perrier. My waitress suggested that if I wanted to order a cake or pastry as well, I should feel free to select something from the nearby display. A cake or pastry in addition to my chocolate parfait? What a brilliant idea. 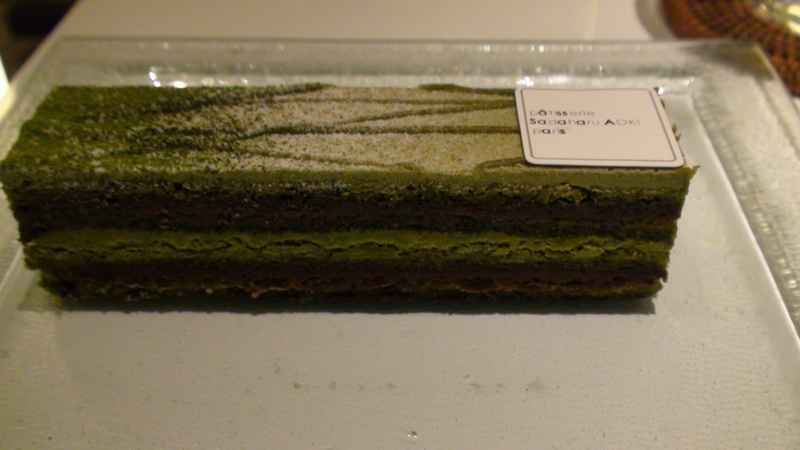 I ended up ordering the matcha opera cake. And it’s a good thing I did because, while the chocolate parfait was fine (cookies, vanilla and chocolate ice cream, and whipped cream), that match opera cake was outfreakingstanding! Layers of green tea genoise, green tea butter cream, and chocolate ganache deliver a sublime bittersweet rhapsody of flavors. This was soooooo good that I’m already planning a return visit. 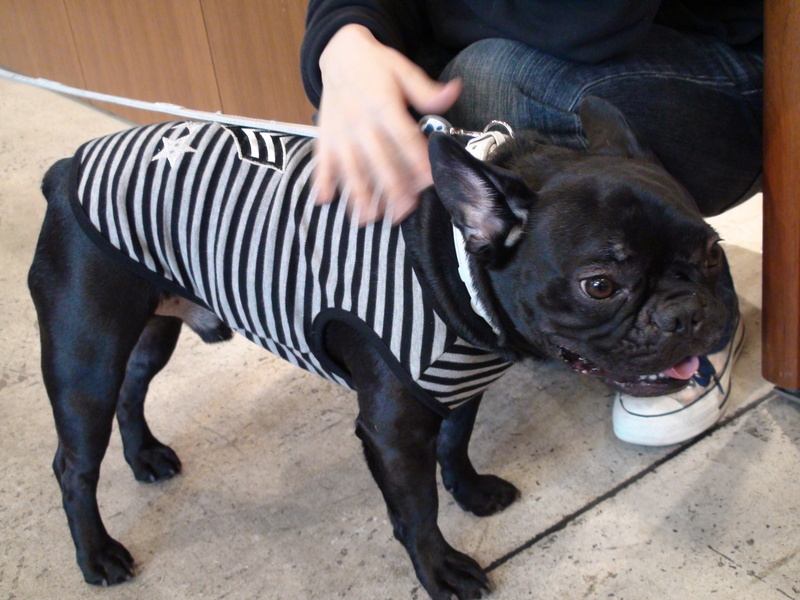 On my way out, I stopped by a shop called the Pet Shop, sort of a pet store, vet, and doggy daycare in one, and met an adorable Frenchie named Gutsu (perhaps named after the lead character from Berserk?). As I snapped some pics of the little guy, I realized how much I miss my gang back home. They, in turn, are no doubt anxiously awaiting my return. Well, another successful day which I intend to cap off with another decadent dinner. Tonight, it’s another Michelin 3-star selection: L’Osier.